While accepting an award from US former president John F. Kennedy (late) family last night i.e. Sunday, the most popular American leader and ex-president Barack Obama while talking with people said that Americans must have the courage to “stand up to hate” during a time of polarization. Former US Loving President Barack Obama said “For many Americans, I know that this feels like an uncertain and perilous time,”. Former US Loving President Barack Obama accompanied by his wife, Michelle Obama, and former Vice President Joe Biden — said in accepting the annual Profile in Courage award at the John F. Kennedy Presidential Library and Museum in Boston. The most popular American leader and former US President Barack Obama said “Our politics remains filled with division and discord,” few days later of winning of bill regarding dismantle much of his sign health care program. 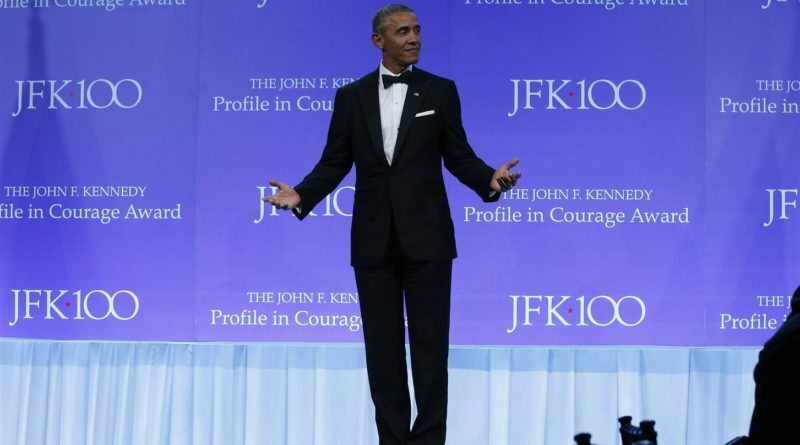 The most loving American leader and former US President Barack Obama has made few public appearances since leaving of white house president office in January 2017, and he didn’t clearly highlighted his Republican successor, US President Donald Trump, with his name in his speech. But it was assumed that he was referring to present US President Donald Trump. “At such moments, courage is necessary,” former President Barack Obama said. “At such moments, we need courage to stand up to hate, not just in others, but in ourselves. At such moments, we need courage to stand up to dogma, not just in others, but in ourselves. 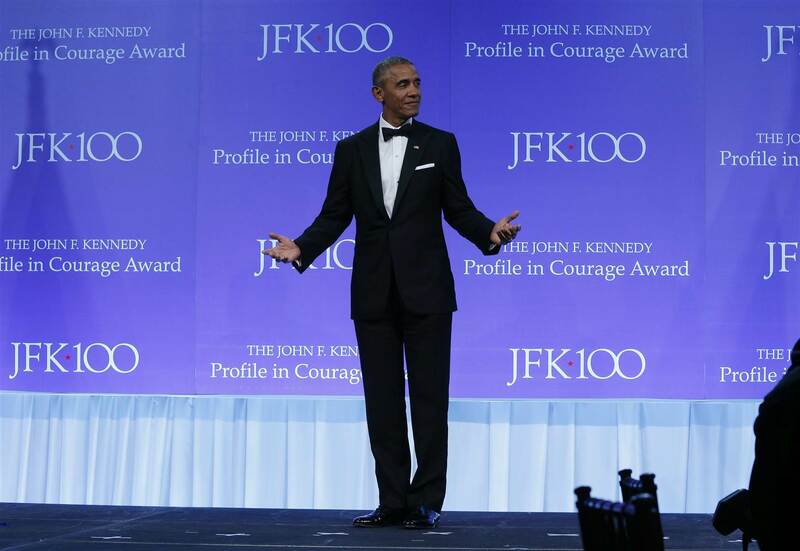 The John F. Kennedy Courage Award is named after 1957 Pulitzer Prize-winning popular book by US former President John F. Kennedy that profiled eight U.S. senators who risked their careers by taking principled though unpopular positions. May 29 2017 will be his 100th birthday.